Currently adopted for use as textbooks in many colleges and universities across the country, The Work of an Actor and Emotion on Demand set new industry standards for books on acting that provide tools like no other, delivering a wealth of clear, detailed instructions and inspiration for giving unforgettably captivating performances for actors of all levels. 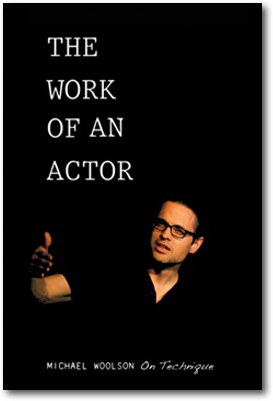 In The Work of an Actor, Michael Woolson shares the essential foundation and mechanics of acting in a clear and concise manner. Woolson outlines how to play a killer, how to create authentic fear, sitcom technique, making sense of bad direction, how to audition effectively, and how to build layered character work. Plus, he introduces the most extensive chapter ever written on how to give believable drug-induced performances without drugs as well as the first-ever list of great dialects in films to use as research. Emotion on Demand demystifies the process of reaching intense emotional places by breaking it down into a simple, straightforward technique. 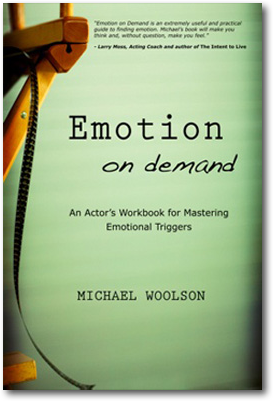 For the first time in an acting book, artists are given the opportunity to improve their emotional intelligence with extensive exercises and a format for writing down important details and discoveries.